Just yesterday TNW brought you the news that Groupon was having stark difficulties in the public market, hitting a new record low. That stock price put its total value below the buyout offer that Google had previously offered it. Today, however, is a repeat. Instead rallying from its more than 5% loss, Groupon today has lost another 5% chunk, declining under $8 a share for the first time. The company went public at $20 a share. Currently, the company is valued at just $70 million over the $5 billion mark. Whatever weakness that Groupon was suffering from yesterday remains acute, from an investor perspective. The larger markets are off slightly on the day, but nothing on the scale of Chicago’s Groupon; the company’s hard decline is its own. 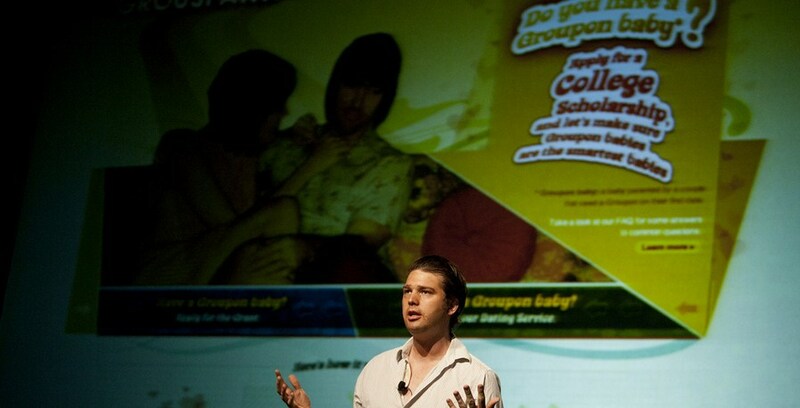 How low will Groupon go before it become cheap enough to attract a new class of boosters? That’s anyone’s guess, but for the moment it appears that the answer is an emphatic lower.